Firearms | Olds Auction Mart & Rosehill Auction Service Ltd.
Rosehill Auction Service at Olds Auction Mart conduct 2-3 sportsman auctions a year, usually in February, May, and September. Our sales have grown into having full, good quality consignments that attract major interest and realize fair market value. We host our sales in our sales ring at the Auction Mart in Olds, Alberta and offer online bidding as a convenience to those that cannot attend in person. Selling all types of firearms, and the accessories that go along with them, our sales offer something to almost everyone! To sell long guns (Non-restricted firearms), you DO NOT have to have a valid Possession and Acquisition License. 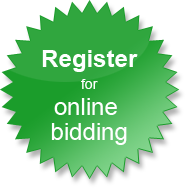 Since we are the ''middle man/broker" we can take them on consignment for you and sell them by auction. If you want to sell a short gun (Restricted firearms), you do indeed need to have a Possession and Acquisition License and have that firearm registered to your name. We have a large secured gun safe we can store your firearms in anytime of the year. Call us to consign your firearms and arrange delivery and also to take advantage of our free advertising program. To buy ammunition, non-restricted, restricted, or prohibited firearms, you must have a proper corresponding license. We sell lots of sportsman miscellaneous that you can purchase without a license. You can also register for Rosehill LIVE, where you bid online with real time audio and video.